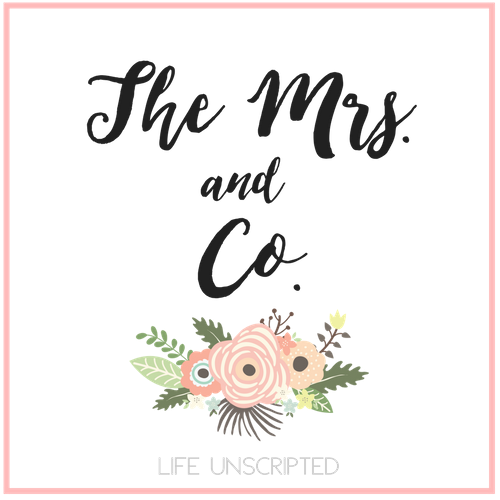 Tini Divas Review + giveaway - The Mrs. & Co.
Once Raegan arrived I realized that I loved buying from small businesses. My number 1 reason is because their products have so much heartfelt love put into each of their items! These gals who run their businesses are just so sweet too! They make sure that your order is perfect and if there is anything wrong, they go above and beyond to make you happy! So when I choose where to shop for Raegan, I go to my small business gals first! So today I am telling you about one of my new finds, Tini Divas! Claudia (the owner) is such a sweetheart and a pleasure to work with! She is willing to turn any vision you have into a reality! If her store doesn't have exactly what you are looking for, she will make a custom item for you! Now if that isn't customer service I don't know what is! When looking through her shop this shirt stopped me in my tracks! Mean Girls was pretty much my favorite movie in college and when I had the chance to get this shirt for Raegan, I jumped at it! And you now what's even better? Claudia has agreed to giveaway at $25 store credit (with free shipping) to one of my readers! How amazing is that? So make sure you scroll to the bottom to get in on the giveaway. It is open to US residents only! And let me know what item you'd like to get from her store! I think Kensie might just need to match her little friend Rae and get the same shirt. It's seriously adorable! I'm obsessed with her shirt! Its' adorable! That shirt is just adorable and so is your sweet girl! I would get the same shirt that Raegan has. I love Mean Girls!! Raegan is just darling! That shirt is too cute for words! !!!!!!!!!! I quote that movie way too often.. I LOVE HER SHIRT!!! SO CUTE!!! I would definitely get the "big sister" shirt for my niece who is about to become a big sissy in 1 month!! Everything is adorable!! I would love the shirt Raegan is wearing for my grandaughter. Her mom loves the movie. I would get the same shirt your sweet little girl is wearing! Adorable! I do t know what I would choose! I think I'd get my Reagan a first birthday shirt or is get her a little sister shirt and Riley a big sister shirt. I also am obsessed with the Wednesday's we wear pink. This is a tough decision there is so much great stuff!!!! I love the shirt featured in this blog post!! I love all her shirts! I would love to win the big sister shirt, my daughter will be a big sister any day now! Cute little shop! So many choices for my sweet niece and baby Jackson! Gah, I need that exact shirt for my diva! FINGERS CROSSED!!! Hope to win for Ady's birthday. Not sure exactly what I would want, but prob a onesie and a tutu! :) Adorable shop!